Port Awanui and Te Wharau Beach with tent campers enjoying summer morning. East Cape and East Island (Whangaokeno) visible in distance. 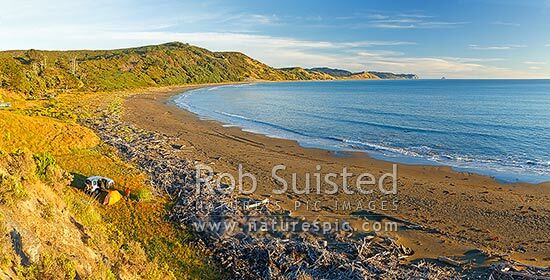 Panorama, Port Awanui, East Coast, Gisborne District, Gisborne Region, New Zealand (NZ), stock photo.